As forewarned, I am going to jot down further notes from inspiring readings that have made me enter 2014 on a more thoughtful note. After pondering a radical article on the failure of “green capitalism”, herewith unsorted reflections on Peter Buchanan’s “Big Rethink” on architecture, published on Architectural Review over 2012 and 2013. Buchanan proclaims modernism (and its descendant post-modernism) dead and accuses them for having wrought upon us and failing to address the world’s most pressing problems. But if his Big Rethink opus can be boiled down to one line, it is probably his attempt to incorporate architecture into integral theory (and the related spiral dynamics). Leading a marginal existence in most of the academic establishment, integral theory is concerned with integrating knowledge that lies fragmented between the various specialisms. Many of its ideas are presented in diagrams, and Buchanan makes much use of these throughout the texts, especially the theory’s household AQAL diagram (all quadrant, all level). 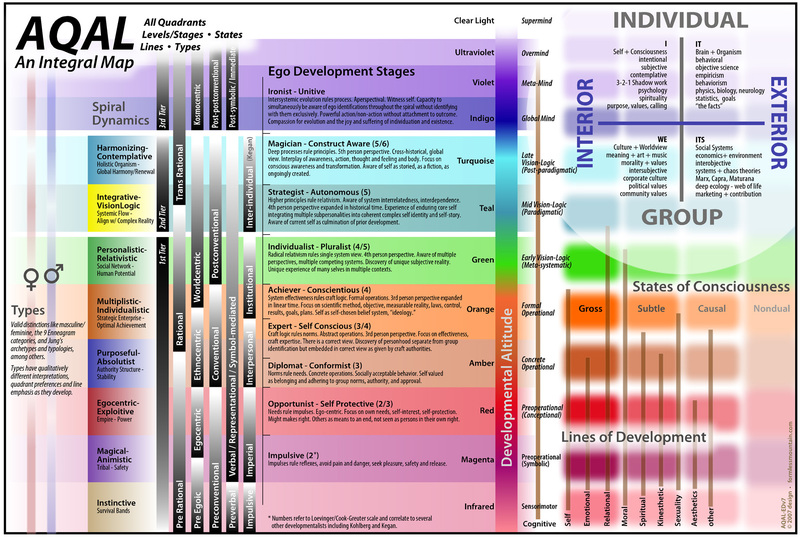 There are four quadrants in the AQAL diagram: the upper left is the interior-individual (personal experience and psychology, the I), the lower left one the interior-collective (culture and meaning, the We). The upper right quadrant is the exterior-individual (behaviour, function, anatomy and form, the It) and the lower right one the exterior-collective (social, ecological, economic, the Its). For there to be a truly sustainable modus vivendi for us as human beings on our planet earth, we’d better live according to all four quadrants and not just focus on narrowly following the logic of either the right quadrants (as in modernism, and interestingly also in new paradigms such as systems holism) or the left quadrants (as in much of post-modern thought). Buchanan finds elements of this new typology of architecture and design in some of the living masters, i.e. Herman Hertzberger, Renzo Piano, Emilio Ambasz and Peter Zumthor as well as in select works of the masters of modernism, i.e. Frank Lloyd Wright, Le Corbusier, Alvar Aalto and Louis Kahn. Before concluding with his own vision of a sustainable urban design, Buchanan introduces spiral dynamics. Spiral dynamics is a model of human development (both at the societal and individual level) alongside two distinct tiers. Bizarre corporate names for stages, or value-systems Memes include TruthForce and PowerGods. This colourful chart gives somewhat of an “overview”. Spiral dynamics and integral theory share some bonds due to their respective founders mutual intellectual appreciation, and the integration of integral theory’s quadrants into variants of spiral dynamics. Before going into too much confusing detail, Buchanan suggests that architects’ knowledge of society can be vastly enhanced by being made aware of the various “memes” that exist. We should be particularly interested in understanding the necessities of advancing to the second tier, the “levels of being”. Here, sustainability is reached as humans have become much more self-aware, individually and collectively. “Wizards”, those who have reached these states of higher consciousness, can become philosopher-king-like advisers to those stuck in lower levels. This is probably the low point of the series. Without disposing of the philosophical grounding needed to discuss it in its entirety, spiral dynamics spooks me for its esoteric and catchy corporate language that I remember from my days in the industry. The last two essays synthesise Buchanan’s views into urban design and finally a model community he suggests can rectify some of the problems associated with contemporary urban dwelling. The connections to integral theory he applied to architecture and human cohabitation are intuitive and, yes, inspiring. Consistent with the themes of reconnecting with nature, you might rise early and greet the rising sun with yoga in your conservatory or as part of a group in a rooftop pavilion. Breakfast might be at least partially harvested from plants in the rooftop allotments or conservatory, before children drop down into the central court and meet friends with whom they walk to school along one of the vehicle-free greenways. You might later jog along the same route and exercise on the equipment placed sporadically along the route. Later in the day you might be working in your ground level studio or home office when the children pop in to exchange tales about how the day has gone, before they go up to attend the allotment on the roof. Otherwise they might drop in to see their elderly grandmother and her friends in the old-age suite of rooms or make something in the communal workshop. And in the evening, if you don’t feel like cooking you can join others sharing a meal in the communal kitchen or have a barbecue on the roof, enjoying and benefiting from the interactions of a larger group such as were once provided by the extended family and tight traditional communities. This might then be followed by examining the constellations through the rooftop telescope or enjoying the communal hot tub up there before bedding down for the night under the stars. 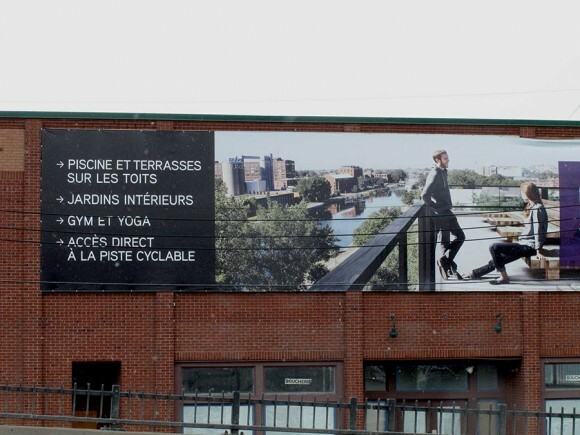 I would contend that most people on this planet do not have the necessary cash to afford such lifestyle of rooftop yoga classes, sustainable as it may be. To most people, urban planning and architecture matter in a more immediate way. Yes, there are conceptual problems with drab residential blocks in particular, and modernism and postmodernism in general. Rather than a complete revamp of the profession, however, the people living here may benefit more from a proper renovation, better public infrastructure and perhaps even less of a heavy planning hand, as benevolent as it may be. Despite these problems I have with the language of the last three instalments of the series, I found the” Big Rethink” tremendously inspiring. Rarely have I read a writer who writes so lucidly across the disciplines and combines his insights from architectural and intellectual history so effortlessly. This entry was posted in Architecture, Future ideas by benbansal. Bookmark the permalink.